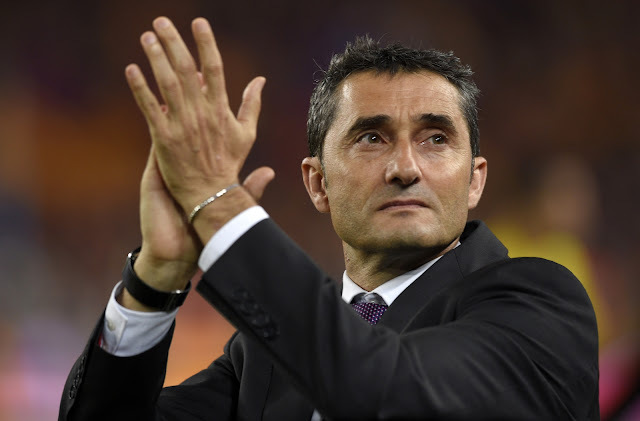 Ernesto Valverde has been pulverising records since his arrival at Barcelona and it all looks as though the team's statistics for this season will go down in history. The next challenge is to equal and better their best unbeaten run which is currently held by Guardiola's side that put together a run of 31 matches and they are currently just two behind. In the 2010/11 campaign they were not beaten from the third week of the league until the 33rd and during this streak they had only four draws against Mallorca, Sporting, Sevilla and Real Madrid. It was Real Sociedad that brought to an end the run and this time the run is slightly different as they were unbeaten in the final seven games of last season and the 22 of this one. Only Getafe, next Sunday and then Eibar, the following weekend, stand in their way from equaling the record. Last weekend against Espanyol, Valverde's side made the best ever start to a season by Barcelona in the league while in all competitions they went 29 matches without loss until they came a cropper against Espanyol in the cup.